(Special Sale Offer - See below) This 103-page study, sponsored by Ricoh and published by QP Consulting, Inc. and NPOA, is packed-full with critically important financial data regarding the current financial health of our industry. 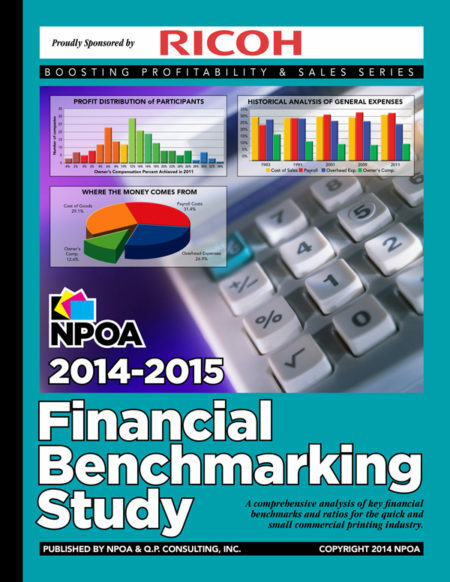 The study contains dozens and dozens of profit & loss, balance sheets and key ratio sheets detailing the performance of firms based upon population density, geographic locations, franchise vs. independent, as well as many breakouts based upon annual sales volume. Available in both Hard Copy as well as PDF formats. Free Shipping.